It’s been awhile since my last project update. Things move much slower around here in the summer! 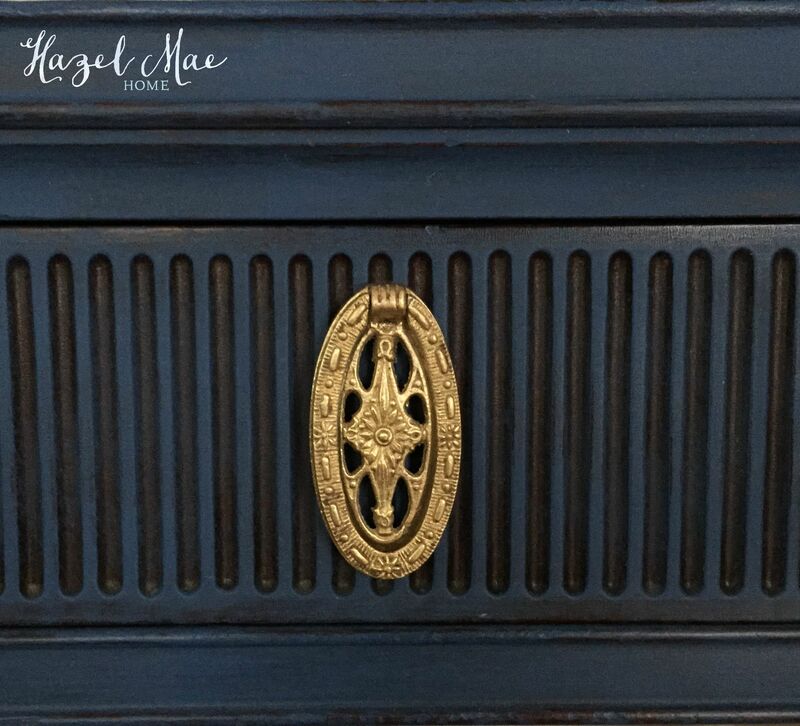 It’s a good thing, but I am excited to be back to show you this stunning redesign using Annie Sloan Napoleonic Blue. 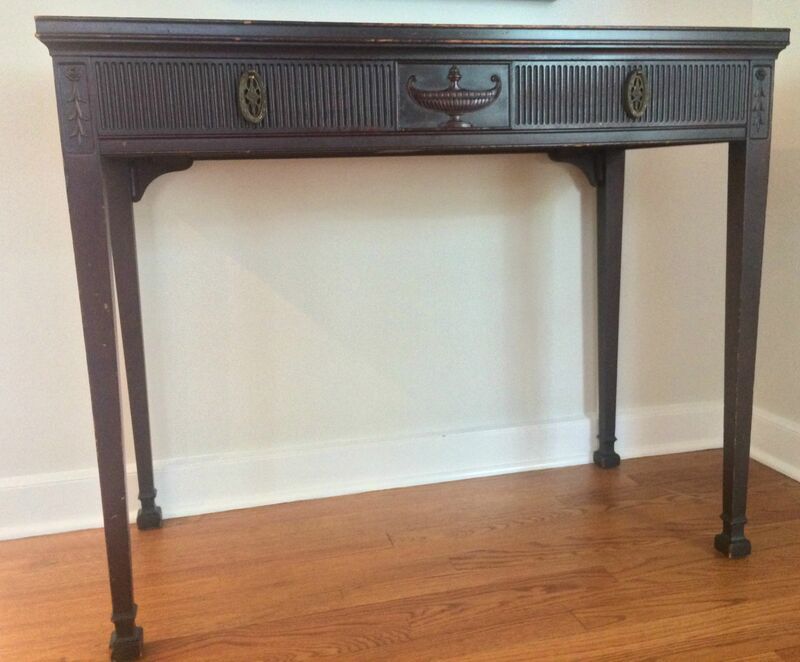 Amy planned to use this table in her upstairs hallway. It is a beautiful table, but without any contrast, all the carvings and details just disappear. 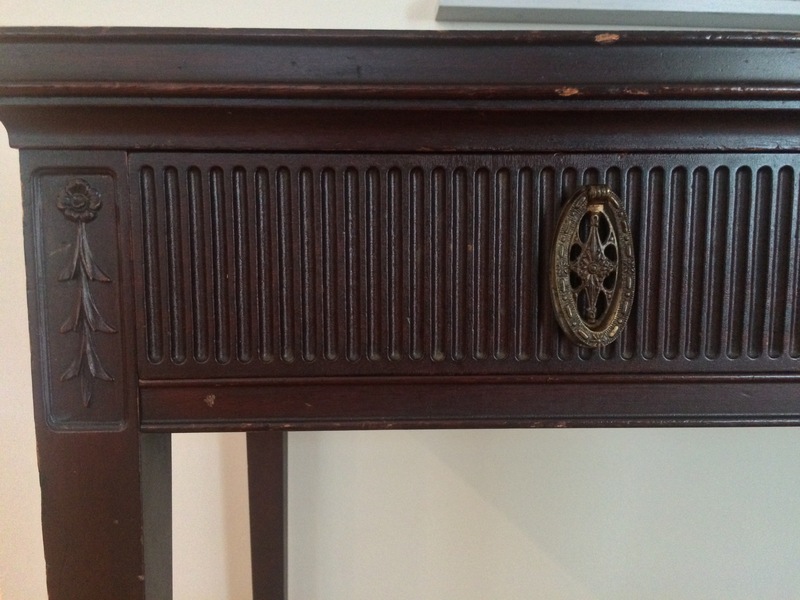 And the lovely oval drawer pulls don’t stand out at all. We decided on Annie Sloan’s Napoleonic Blue. If you remember, I painted a dresser in the same recently. I love this color over dark wood. When distressed, the blue and the wood work so beautifully together. I distressed using a wet cloth and rubbed more and harder than I usually do. I also avoided over painting in the drawer grooves. I finished with Annie Sloan Clear Wax. The original hardware pulls just needed a good scrubbing with Brasso. It takes awhile to clean old brass, but the time is worth it in my opinion! A friend mentioned that I talk a little about how I stage my pieces. It’s something I love doing. I pull items from all over my home. This piece was fairly easy to stage, because my master bedroom has navy and gold accents. The framed wedding vows art (by Lindsay Letters) and family photos were pulled directly from my shoe bookcase (a bookcase I turned into a shoe closet). 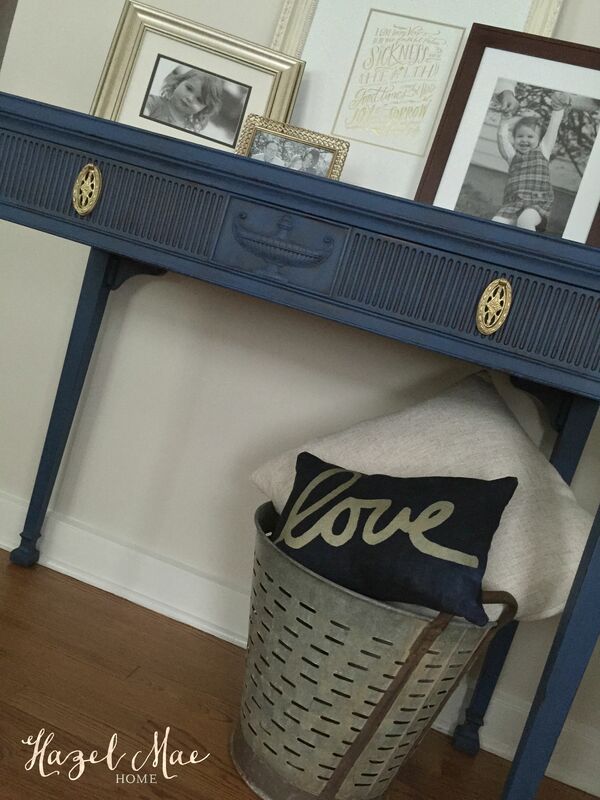 And the “love” pillow in the olive bucket sits on an accent chair in my bedroom. This came from NestaHome on etsy. As much as I believe that every room needs an antique, I also feel every room should have a unique piece of art or handmade item like the wedding vow print and love pillow. I adore finding treasures like these on etsy. I hope you enjoyed this redesign! If you did, please be sure to leave a comment or a like on Facebook. I enjoy seeing who follows Hazel Mae Home! That is a really lovely table, and you did a great job refreshing it with some paint!